We are in the last months of this year and being a designer, it’s our great responsibility to do something new. In order to optimize client’s business, one has to design a website which brings best possible conversion rates. Only a festive-designed website can engage a high range of visitors, improve the SEO performance and make the business to get high profits. To make the celebration double, a business owner must look for professional web design company to reflect the holiday season in the current site. Such web design changes are helpful in maximizing the business from customer viewing to quick purchasing. On this Christmas, adding a subtle background image including twinkling lights can give a warming welcome to visitors. You can bring few changes to the images, sliders and add some falling snowflakes in its basic interface. The changes that you have updated must be modern, classic and give a smart look at your website. You must think about festive banner which wishing everyone a Merry Christmas and a way to bring back all the visiting audience. If you are offering the services which are valuable in future, then your innovative banner makes the users visit again. One of the effective ways to make your website look great in front of the audience is to add beautiful holiday colors. The colors like blue, purple, green and white can engage the visitors to do online shopping. If you want your brand looks great on every device, highlight red and green colors on buttons or add an interactive background to coupons. As holidays are near, it’s essential to double check the overall functionality of the website. If your site contains errors or some imperfections, then it might lose your potential customers. By testing your website, you can catch the issues and must resolve them so that it can’t harm your holiday sales. In the same way, you have to check all the broken links and must update the site with maximum functionality. Apart from updating the website design, don’t overlook the logo of your business. To attract your audience, you must think of adding a magical effect to your brand logo. An attractive logo can be used in various marketing campaigns and you must develop it into specific sizes so that it can be easily used on the social media too. Every single person wants something unique and new that convert them into revenues. For a business owner, it’s essential to check for all the offers and resources that make the visitors come in your service area. Make sure you must be a step ahead of your competitors and offer more valuable options as compared to them. In the desire of having more and more audience on your site, publishing Christmas themed videos can make them remain on site for long. For videos, you must be ready with some creative ideas for this festive time. Your beautiful imaginations stored in videos really make the potential customers enjoy such big day. Christmas is the time when one must invest his great time to make the brand ready with attractive elements. Such changes are helpful in making the online store more festive which is vital to your success. 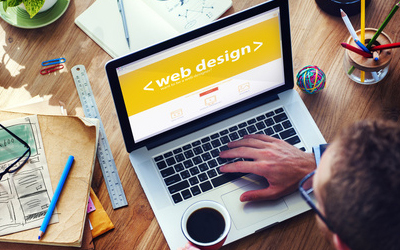 To arrange everything on time and perfection, you can also take a help from professional web designers at IntegraWeb.